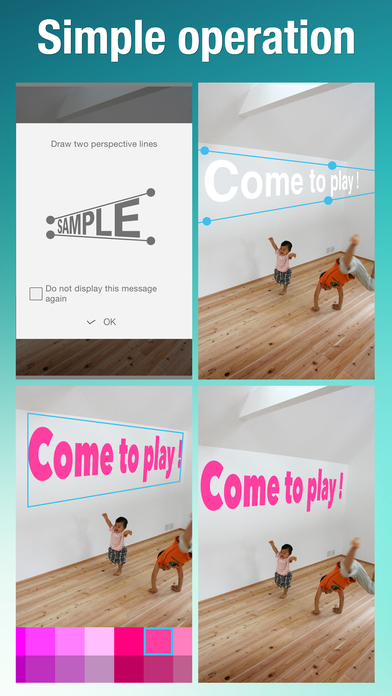 Author: Canon Marketing Japan Inc.
PERSTEXT is a photo editing app that makes it possible to insert perspective text with a sense of depth into photos. With these simple operations, as it is possible to insert text with stunning  perspective into photos, you can create photos that convey a message. 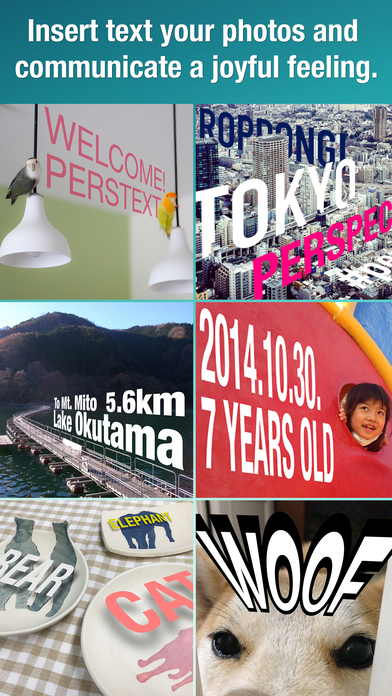 Opened the PERSTEXT Gallery  on Instagram! To post with the tag #PERSTEXT and perstext_canon_mj to be featured! - In addition to a free aspect ratio, cropping to fixed ratios of 1:1, 2:3, 4:3, and  16:9 are possible. - With a simple touch of your finger, you can specify a sense of depth  (perspective). - Text with not only a sense of depth (perspective), but the tilt can also be adjusted. - Vertical text is supported. - Text color can be freely modified. - A variety of filters can be applied to photos. - Data that is being worked on can be temporarily saved within the app, and then you can continue editing. - Photos with perspective text can be posted to Facebook, Twitter, and  Instagram. - You can print to AirPrint compatible printers. - You can print to Canon PRINT Inkjet/SELPHY compatible printers. 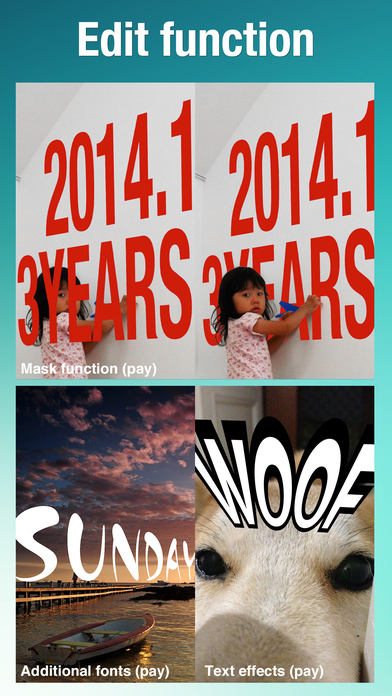 by Sonar Multimedia Co., Ltd.
cute photo app photodeco+-collage, filter(Toy,Lomo etc), stamps frames- Let’s decorate photos! Photo Log Map - Leave your photographing record on a map!